Sophomore forward Jeremy Buttell noticed the need for the Flames to find more passion on defense. After practice Thursday, UIC players were adamant about improving upon a subpar three-game road swing through Ohio and working on finding the passion on the defensive end. After a film session earlier in the week, the Flames noticed their “lack of desire to play defense,” according to junior guard Josh Mayo. Numerous players cited poor communication, non-existent help defense and weaknesses in rebounding and diving after loose balls. The Flames left way too many open driving lanes, causing opponents to penetrate and open up their offenses. It’s a good time for the Flames to rediscover that fire as a three-game Horizon League homestand begins Saturday against Loyola. UIC enters the game at 8-7 overall and 2-2 in the Horizon League after dropping games at Akron, Youngstown State and Cleveland State. 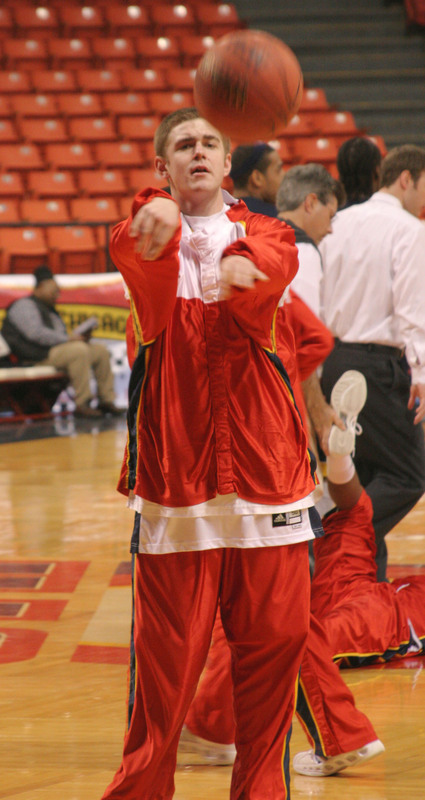 The Flames did not have the services of their starting point guard Spencer Stewart in any of those games. The crosstown Ramblers, meanwhile, have the looks of a rebuilding team. Riding a six-game road losing streak, Loyola stands at 5-10 overall and 1-4 in conference, but don’t think that UIC coach Jimmy Collins is taking this game lightly because he knows the Ramblers will be psyched up. Mayo leads the Flames in scoring at 17.9 points per game and despite a recent shooting slump, is still hitting 52 percent from the field and 56 percent from three-point range. Also contributing for UIC are freshman guard Robert Kreps (9.3 points per game), senior guard Karl White Jr. (9.2 ppg) and junior center Scott VanderMeer (9.1 ppg, 6.0 rebounds per game). The Flames will have to guard against Loyola’s J.R. Blount driving to the basket. The Ramblers are led by junior point guard J.R. Blount, who is averaging 15.0 points per game, but shoots only 36 percent from the floor. Blount can still be dangerous as he is an adept driver and gets to the free-throw line frequently. Newcomer Justin Cerasoli, a 6-foot-4 guard from West Aurora High School who transferred from Mississippi (where he was recruited by current UIC assistant Tracy Dildy), is an electrifying player that can score off the dribble. He is averaging 12.2 points in six games since becoming eligible. Senior forward Tracy Robinson, at 6-foot-7, provides some punch as well, averaging 9.9 points per game. “[Blake] Schilb and Majak Kou always killed us and Robinson seems like he can break out like one of those guys,” Collins said. Junior forward Leon Young, the Ramblers’ leading rebounder at 7.1 per game, has missed the last four games with pneumonia. He is questionable for Saturday. Sophomore forward Andy Polka is another post player that produces for the Ramblers, tallying 8.2 points and 6.3 rebounds per contest. 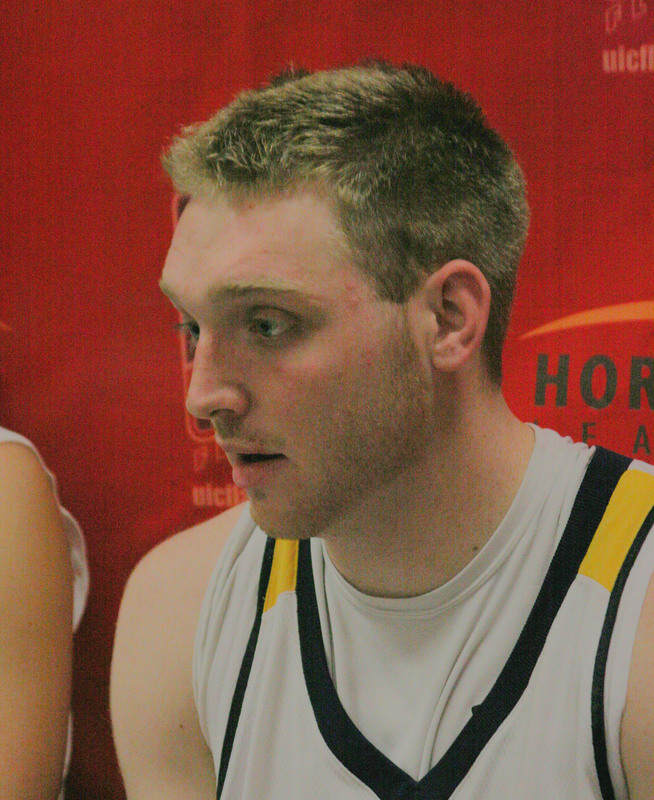 Mayo, who hit the game-winning jumper in the team’s last regular-season meeting, knows the rivalry can be an igniter. “I’m excited, because we usually a good crowd no matter where we play them,” Mayo said. UIC owns a commanding 24-13 advantage in the all-times series, but Loyola has prevailed in five of the last seven meetings. After losing twice in the regular season in 2006-07, the Ramblers defeated the Flames 66-62 at the Horizon League tournament behind Schilb’s 31 points. UIC point guard Spencer Stewart said he could possibly be back in two weeks. UIC point guard Spencer Stewart will miss at least two more weeks as he heals from a spiral fracture in the fourth metacarpal of his left hand. Stewart said a hard cast was put on his left hand on Wednesday to ensure that the injury finishes healing properly. He previously had a splint on the finger that was attached at the wrist. Stewart said he injured the finger while shooting around and warming up at his alma mater, Edwardsville High School, just before to Christmas. He said the group was planning on playing a pick-up game. The Flames have struggled without Stewart on the court, dropping three straight – all on the road. Josh Mayo, UIC’s leading scorer, has slipped noticeably as he wrestles with combining ball-handling duties with scoring. Mayo was averaging 19.0 points while shooting 55 percent from the field and 61 percent from three-point range before Stewart’s injury. In the last three games, Mayo has averaged just 13.3 points on 12-for-31 shooting (39 percent) and 5-for-14 from three (36 percent). After scoring 19 points against Akron, freshman Robert Kreps’ streak of seven straight double-figure scoring games ended with a thud as he has produced just seven points in UIC’s last two contests. “Spencer shows toughness,” UIC coach Jimmy Collins said. “He knows where people are supposed to be. He’s always been a point guard.